Several weeks ago we looked into the life and times of Noah, the righteous man of God who built the Ark upon dry ground in obedience to the will and direction of God. The flood came and destroyed a world that had not only become a society without God, it had become a society that destroyed God. 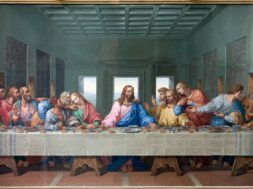 Spirit and human being alike took the goodness of God’s creation, mixed it into a forbidden hybrid formula of intelligence and form that may have resembled God’s intentions on the outside, but on the inside was a force that rebelled against all that God stood for. The Bible tells us that the resulting destruction was a preview of future destruction to come…has the full length feature of that preview arrived? previous How Often Does Thankfulness Occur to You? 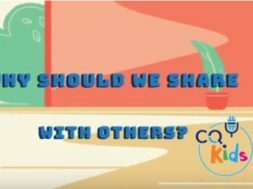 VIDEO: CQ Kids – Why Should We Share With Others?